As I have said, we decided that Hearing Aid Know was going to be one of two of the most important websites when it came to hearing aids. We quickly realised that meant that we needed to widen the context of the site to encompass all of the different facets of information that a prospective consumer needs. We decided as part of our strategy that we would outline a hearing care section, one which addressed the questions that were commonly asked by prospective consumers. We also decided that we would use this section to outline gold standard practices. Describing them in order that consumers could understand the process and recognise when they were in the middle of it. We came to the conclusion that we could use this section to support Independent providers by explaining who they were and what they did. We also realised that we could help them target enquiries in their areas and support their websites in search. We knew that it would be a bit of work and we would have to be very intelligent about section structure and local targeting. Local targeting was not something that we were particularly concerned about up until then as we were focused on becoming a global go-to resource. We felt it was worth the work because we could support the people who work with us and drive pageviews that we would not have normally received. The more traffic we get, the more authoritative the site is, the stronger and more effective our links to Provider sites would be. It was quids in really. Anyway, this is the structure we used, after I detail it, I will elucidate and explain how you might use something similar. Why All The Sliding Hierarchy? Simply because using the sliding hierarchy of pages would allow us to target different search terms with each step. This is something that you need to consider if you have multiple practices across different regions. Having an individual profile page for each Practice is important also. Again, this allows localised targeting of search. When we began to set it up, we realised that we could do something similar for ear wax removal providers. We designed an built two clinic finders, one for hearing aid centres and the other for ear wax removal providers. We made both of the Clinic Finders accessible from our main menu. This ensured that Google understood they were important pages on our site and that prospective customers could find them easily. 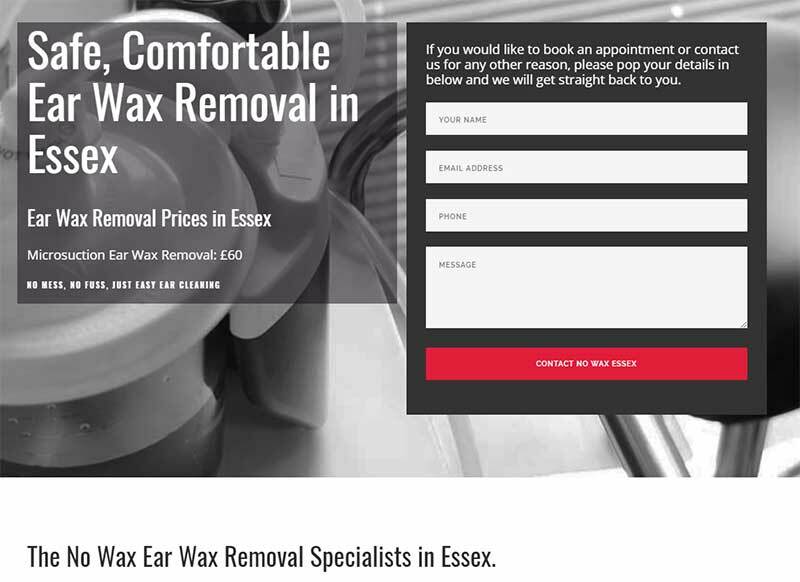 We also added detailed references to every hearing aid centre and ear wax removal provider lower on each page which would allow links back to their profiles. We were careful about the anchor text that we used in order that we could pass back the maximum SEO juice to every profile and therefore the website of every listing. For instance, we used terms like Hearing Aids Edinburgh to link back to a profile to set the terms of reference for that profile. We made sure that each individual profile was well set up with localised SEO. Localising a page is not difficult, however, you need to be careful about how you do it and it needs to be consistent. We decided that each profile would focus on a host of search terms for any given location, for instance, invisible hearing aids wherever, or best hearing aids wherever. Again, this is really just being very smart with on-page copy and the off page technical SEO like Json-ld and interlinking anchor text. Using this kind of strategy allows you to build multiple pages that target specific areas for a host of different search terms something that you will need to do if you have multiple practices. Using technical SEO like Json-ld also allows you to stand out in the search returns with differing features. For instance, this return for best hearing aids hull. Using this strategy gave us and the Practices we collaborate with a lot of local exposure in the areas that mattered to them. Using this strategy will also help you to do the same. 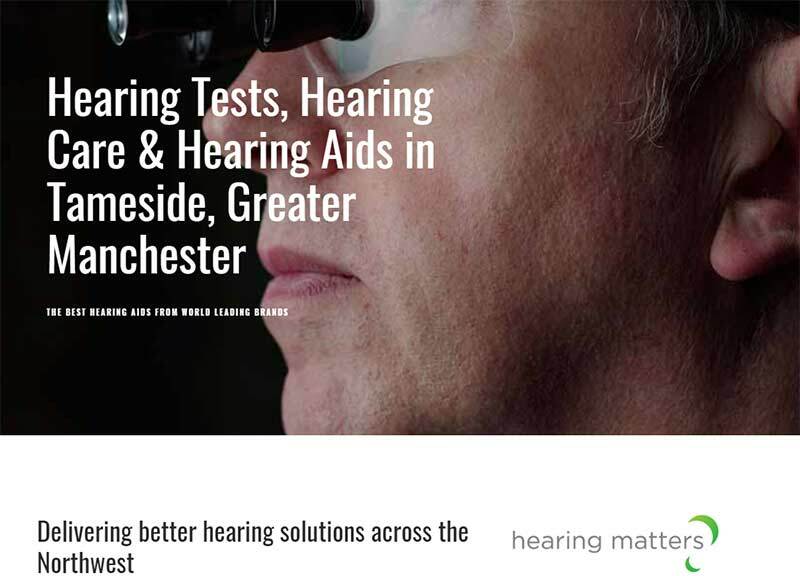 Not just that, as Hearing Aid Know rose, the profiles rose and the websites of our collaborators rose. Because that is how it works in search. The higher the authority of the site linking to you the more juice that is passed. We decided that as part of this overall strategy we would split out an ear wax removal section. The reason we did was again simply to widen the context of the site and drive page views. We named the scheme the "No Wax Ear Wax Removal Specialists Network". Again, we followed a similar structure to the hearing aid centre network with local pages and a clinic finder. As before, we used both on-page and off page SEO to focus on local search for the No Wax profiles. We also used Json-ld to ensure that the returns had the extra features that made them stand out. For instance, on this one that triggers on a search for ear wax removal Kent. Or this one that is triggered on a search for ear wax removal Leicester. Again you can see the benefits of focused SEO and specific pages focused on local search. For us, it simply ensured that we drove more page views and while we did, we drove enquiries and authority for the people we collaborate with. You can basically do the same for your Practice. Certainly, this strategy is useful for multiple practice businesses. However, a more focused and limited strategy is just as effective for a single practice business. Your lesson for today is to consider a specific page for every outlet you have which includes day clinics. Ensure that you focus on localised search terms and ensure that the content on the page is focused on multiple search terms for that area. The last thing is that Json-ld is good, and not just because I say so. It really works, it helps to rank and it ensures that search returns have interesting features that call attention to them. You should really, really, really, consider getting someone to write some for you. I know I have focused on this magic number a lot, but it is a tangible proof that our strategy is working. The fact that our profiles have led to enquiries and ranking increases for our collaborators is also a tangible proof that the strategy we are following is valid. For instance, it stuns us but it seems a day doesn't go by that our Essex ear wax removal partner doesn't get a half-dozen enquiries (lots of ear wax in Essex!). As we increase the size of the network of Independent providers, it will lead to better returns for everyone. The web really is an interlinked web of pages. The more we drive profiles, the wider the network, the better the returns for the people in that network. Moving forward, that is what we plan to do, increase the network of approved providers. The authority that Hearing Aid Know has, can be passed on both in SEO benefits and simple trust benefits. Prospective hearing aid users have come to trust us and our opinions. 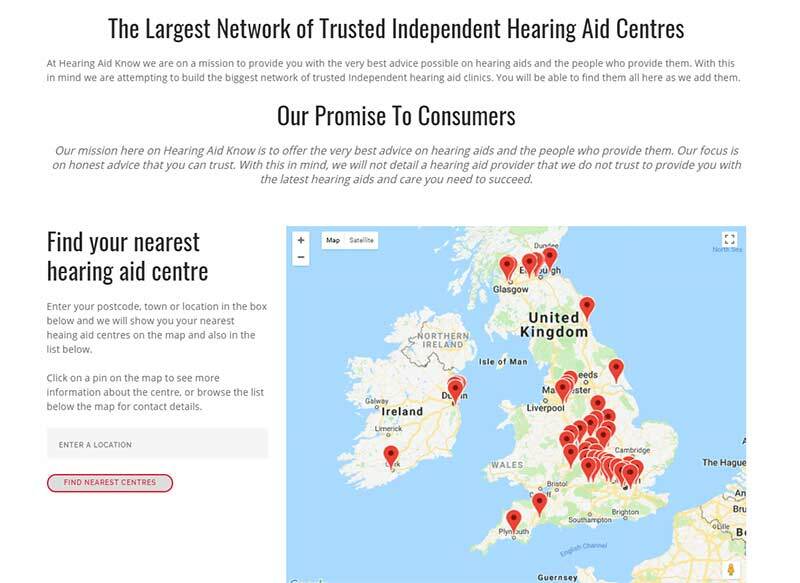 We plan to make sure that they can continue to do so while gaining access to a larger global network of Independent hearing aid providers that they can trust too. That is the plan, to continue building the website and driving it to two million page views a year. In the next few articles, I will continue to discuss the sections that we focused on and how we think they would benefit you. I will also explain how we plan to get to that two million page views a year.